“First Love, Second Chance” is a new six-episode original series on TV Land. It’s a great title and accurately describes this docu-drama-reality series. Each episode will feature a different couple who were once emotionally involved but who have since broken up. They may have been apart for as long as 20 years. Personally, if I broke up with you 20 years ago, I’ve probably moved on. But that may not be the case in this series, as the viewer takes a week long journey with each couple as they try to go beyond their past and rekindle the romance that once was. The series premiers on Wednesday, March 10th at 10:00 p.m ET/PT. The executive in charge of production is Marco Bresaz who I’d had the pleasure of working with and for my money there’s none better – so I’ll absolutely tune in and find out what this series is all about. I’m a baseball fan, I admit it. Well to be honest, I’m a Yankee fan. Nothing better than watching a game at Yankee Stadium, even if I am in the nose bleed section. But if you can’t get to the game, there’s always television. From April to October you can watch a baseball game across many channels several nights a week. But for some fans, that doesn’t seem to be enough. For the real die-hards who need their fingers on the pulse of every hit, run and error – there’s Major League Baseball TV (MLB.TV), one of the largest subscription based internet sites with over 2 million subscribers. And to make watching baseball even easier, MLB.TV now offers mobility – you can watch games through your iPad, iPhone or iTouch, with more streaming options coming before opening day. So, fans if you’re at a wedding and the Yankees are playing the Red Socks – no worries, you can whip out your iPhone and pretend you’re reading urgent messages from the office. 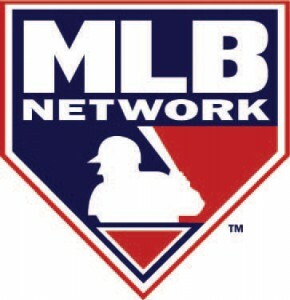 MLB.TV’s subscriptions begin as low as 99.95 for the year and that’s cheaper than a couple of tickets to Yankee Stadium. Hmmm… now there’s an idea. Over the years arts education has been slashed and then slashed some more. I’m all from STEM education (science, technology, engineering and math) and it’s certainly important for us to create the next scientific leaders – but technology without the human spirit is in my opinion folly. When you don’t balance science with the humanities – one could create a future we’re now seeing in so many movies and books – a post-apocalyptic barren waste land. Sorry, was that a tad dramatic? No, I don’t think so. The arts must be supported for any culture to survive. The new arts education program created by Ovation TV and Cable in the Classroom is a fantastic way to enhance young people’s education. The network worked with NYC area art teachers and students in developing the lessons and selecting programming clips from Ovation TV documentaries. This project and its outcome will serve as the cornerstone of Ovation TV’s free web-based initiative.